The latest installment of Lou DiBella’s popular Broadway Boxing series provided a little of everything for Boxing fans on Thursday night at the B.B. King Blues Club and Grill in New York City, NY. The ten bout card was headlined by rising Jr. Featherweight prospect Rafael Vazquez who scored a fourth round stoppage of a “Game”, but over matched Joseph Rios. After a relatively uneventful opening round, Vazquez dropped Rios with a left hook in round two. Rios showed his mettle by getting up though he appeared hurt. Vazquez scored a second knockdown of Rios before the end of the round with another left hook. Rios survived the round, but was unable to keep Vazquez off of him as Vazquez continued to dish out punishment in round three and seemed to hurt Rios with every punch he was able to land. Vazquez dropped Rios for a third time in round four with a right hand. Although Rios was able to get up and survived the round, the fight was stopped at the conclusion of the fourth round by a ringside physician. Rafael Vazquez advances to 13-1, with 11 Knockouts. Joseph Rios falls to 13-12-2, with 4 Knockouts. 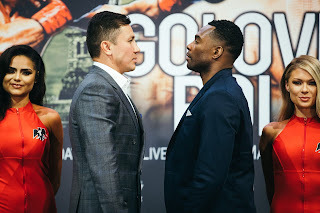 For the thirty-seven year old Vazquez who is currently rated number six in the world in the World Boxing Association’s (WBA) Jr. Featherweight ratings, this fight likely served the purpose of being able stay busy while awaiting a fight against someone in the top ten. What impressed me about Vazquez’ performance was how well he placed his punches and although it was clear that Rios was hurt and in survival mode after the second round, Vazquez was not reckless and was able to score the victory. Even though some might say this fight was a mismatch, Rios showed heart and deserves credit for being able to hang in there against a fighter who is heading towards world title contention, in my opinion. In a Featherweight bout rising undefeated prospect Luis Rosa scored a first round knockout over Noel Echevarria. Rosa scored on Echevarria with a barrage of punches to the body that sent Echevarria down on one knee. Another barrage of punches highlighted by a left hook followed by a flush right hand dropped Echeverria later in the round and the fight was immediately stopped. Official time of the stoppage was 2:32 of round one. Luis Rosa advances to 18-0, with 8 Knockouts. Noel Echevarria falls to 11-5, with 6 Knockouts. Rosa simply did not allow Echevarria much room to breathe in this fight and quickly scored the knockout. In one of the most competitive fights of the evening undefeated Super-Middleweight Steed Woodall fought to a six round majority draw with Jas Phipps. This was a contest where there are likely varying opinions of who won the bout. A tactical battle where both fighters had periods of effectiveness. Although Woodall was the more active fighter of the two, it was Phipps’ counter punching and ability to make the most of what he threw when he let his hand go that made this a close fight. Phipps’ ability to counter Woodall did at times seem to make Woodall hesitant to let his hands go. Unofficially I scored this fight 58-56 for Phipps based on how well he was able to time his counter punches, make Woodall miss, and how he seemed to land the cleaner more effective punches of the two. This was however, a fight where there were several “Swing” rounds that could have gone either way. Official scores were 58-56 (Phipps) and 57-57 on two scorecards resulting in a majority draw. Steed Woodall advances to 6-0-1, with 4 Knockouts. Jas Phipps advances to 5-5-2, with 2 Knockouts. I would like to see a rematch between these two fighters, perhaps on a future Broadway Boxing card. It was one of the best fights on this card and I believe a rematch could benefit both fighters at this stage of their respective careers. In a Cruiserweight bout undefeated prospect Travis Peterkin scored a first round stoppage of Julio Garcia. Garcia retired on his stool at the conclusion of the first round. Although it appeared confusing as there were no knockdowns in the round and neither fighter seemed hurt during the round, the official reason for the stoppage was that a ringside physician stopped the fight. Travis Peterkin advances to 14-0, with 6 Knockouts. Julio Garcia falls to 6-8, with 3 Knockouts. In a Light-Heavyweight bout undefeated prospect Lennox Allen scored a second round knockout over Kojo Issah. Allen brought an end to the fight with a three punch right hand combination to Issah’s body that sent Issah down to the canvas. Official time of the stoppage was :51 of round two. Lennox Allen advances to 18-0-1, with 11 Knockouts. Kojo Issah falls to 14-2-1, with 7 Knockouts. In a Lightweight bout Wesley Ferrer scored his seventh victory as a professional in as many fights as he scored a one-sided six round unanimous decision over Helario Medina. Ferrer had his way from the opening bell and dominated the action with his combination punching. Unofficially I scored this fight the same as the three official judges 60-54 for Ferrer. Wesley Ferrer advances to 7-0, with 4 Knockouts. Helario Medina falls to 2-5, with 0 Knockouts. In a Middleweight bout Ivan Golub remained undefeated scoring his fifth victory in as many fights as he stopped Rashawn McCain in the first round. A left hook from Golub dropped McCain in the closing seconds of the round and the fight was stopped immediately. Official time of the stoppage was 2:58 of round one. Ivan Golub advances to 5-0, with 4 Knockouts. Rashawn McCain falls to 2-3, with 0 Knockouts. Also in the Middleweight division Chris Galeano scored six round unanimous decision over Alexander Mancera. This fight tied with the Woodall-Phipps bout, in my opinion as the most competitive bout of the evening. Mancera was able to give Galeano trouble periodically with his elusiveness and ability to counter punch. Much like the Woodall-Phipps bout, this bout was a question of one fighter’s greater activity versus another fighter’s ability to be effective and make the most out of what he threw. Both fighters sustained cuts over the course of the fight and there were several close rounds in this observer’s eyes. Unofficially, I scored this fight 58-56 for Alexander Mancera based on his aggressiveness, ability to be an elusive target, ring generalship, and counter punching. This however, differed with the official judges who scored this fight 59-55, on two scorecards and 58-56 all for Chris Galeano. Although I felt Mancera was able to execute his offense a little better than Galeano, Galeano seemed to have an edge in the power of his punches and it is understandable how this fight could be scored in his favor based on his ability to land the harder punches. Chris Galeano advances to 6-0, with 0 Knockouts. Alexander Mancera falls to 8-6-1, with 5 Knockouts. In contrast to the the Woodall-Phipps bout, where I felt Jas Phipps was the more effective fighter, despite not being the more active of the two, I felt differently in regard to the Chris Galeano-Alexander Mancera bout where I felt Mancera’s aggression and overall ring generalship were enough to win him the decision over Galeano, who landed the more effective punches of the two. It is a good example of how opinions can differ significantly in regard to close fights that some may feel were similar in how they were fought. Either way, much as is the case with regard to the Steed Woodall-Jas Phipps fight, I would like to see a rematch between Chris Galeano and Alexander Mancera. Both fights were very competitive and I feel rematches of these two fights are warranted. In a Jr. Welterweight bout Ivan Baranchyk scored a first round knockout over Ian James. Baranchyk battered James’ body from the outset before a left hook to the head ended the night for James. Official time of the stoppage was 1:55 of round one. Ivan Baranchyk advances to 4-0, with 3 Knockouts. Ian James falls to 3-11, 1, with 1 Knockout. In the Jr. Middleweight division Shawn Cameron scored his eighth victory in as many fights as a professional as he scored a six round unanimous decision over Daniel Calzada. Both fighters had periods of effectiveness throughout the fight, but it was Cameron’s well-balanced attack to the head and body of Calzada as well as landing the cleaner punches of the two that earned him the decision in what was a competitive fight. Unofficially I scored this fight the same as the three official judges 58-56 for Cameron. All and all, this card produced a healthy mix of knockouts, competitive fights, and a look at fighters who range from developing into prospects to knocking on the door of world title contention. This card also produced a couple of fights that could see a rematch down the line. Lou DiBella’s Broadway Boxing series continues to give Boxing fans a look at fighters who could very well develop into future stars of the sport.